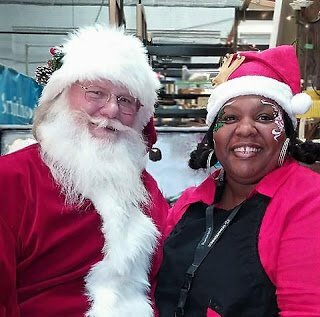 Santa fun & more at Community Forklift this Friday & Saturday! Hope you had a great Thanksgiving! This weekend’s full of local events – especially those featuring our small, local businesses! Enjoy! Shop green, shop small or don’t shop at all! CF gives you an excused to stay away from the mall! Come to our warehouse to relax with friends and learn how to make presents! There’ll be community crafting, holiday gift market, blacksmithing demos and more. Shop for unique gifts at the Gateway Arts District’s small businesses and artist studios. Our community is filled with great small retailers selling handmade, upcycled, vintage, fair trade, and unexpected goods. Our regular Saturday morning easy ride to points south in search of food and drink and fun! Some on road riding, but mostly trails, mostly flat, usually 12-16 miles round trip. Bring cash/cc, lock. Helmet required. Go play “Tribe” by Bas (w/ J. Cole) and then buy tickets for what will likely be a great show MBAH!